Climbing mountains, going for long days trekking, of course give you an immense pleasure. But all of us either don’t have time or the inclination to ascend a peak may be the cause of sadness missing the mountain experience. Fortunately for all, there is a wide offering of destinations famous for their viewpoints in and around the valley rim. There are excellent roads to these hill resorts and you can get there in comfort by car or tour bus. Himkala Adventure presents Hill Resorts Tour altogether does not mean we do visit these places one after another. We would like you to choose the package you like. We always serve you as per your choice. This is the city of fort. It is 2175 m, high from the sea level. 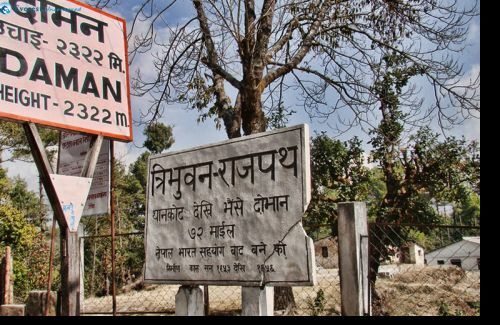 It is 32 km far from Kathmandu. It takes 1 and half an hour to be there. Nagarkot is very much one nightstand. 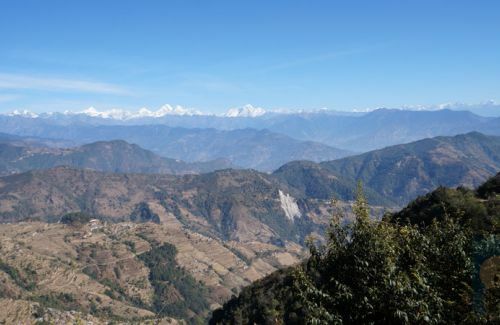 From Nagarkot, there lies Chisapani in the north, Banepa in the south, Indrawati River in the east and Sankhu, Sundarijal, Changunarayan in the west. There is a Mahakali temple few meters far from the bus park on the little hill and the other landmark of this vicinity is the little cheese making Project. We can view 300km. mountain ranges especially Dhaulagiri in the west and Mt. Everest/ Kanchanjungha in the east. Besides this we can see other mountains like Ganesh Himal (7406m. ), Langtang Lirung (7246m. ),Shisha Pangma (8012m. ),Dorje Lakpa (6975m.) and Gaurishankar (7146m.). This place is quiet retreat from the hustle and bustle of the city. Nagarkot is famous for the sun rise and the sun set. 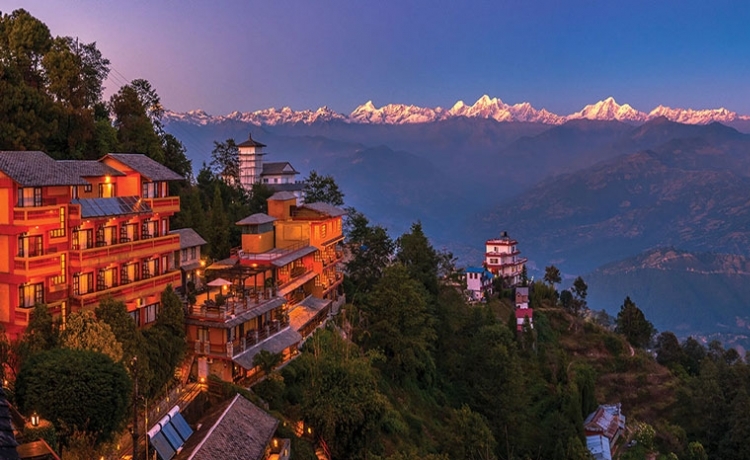 In many of the lodges in Nagarkot, rooms are situated to look directly out into the mountain range so that views are available without even opening a door. For those wishing to stretch their legs and enjoy the fresh morning air, there are charming walking trails as well as a lookout tower from which the sights can be taken in. Nagarkot was originally developed as an army post. Hiking and Mountain biking routes up and back down are particularly worthwhile. 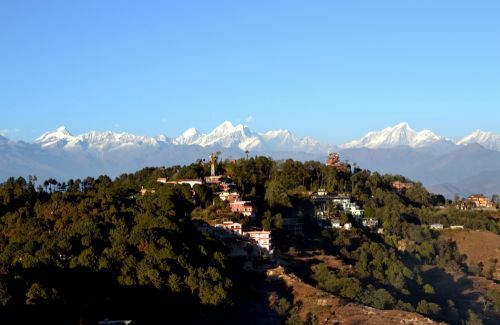 Dhulikhel is 32 km east from Kathmandu city; a magnificent place to spend the night and awaken to the sun rising across the wide Himalayan range. This is a newar town, 1440m high from the sea level. This place offers a traditional atmosphere of Newari culture along with the spectacular views. Once, it was an important trade route from Tibet to India. Dhulikhel has a glorious past which can be witnessed in the lovely buildings and intricate woodcarvings found along the shop lined streets and in the temples. There are many hotels and guest houses ranging from budget to luxury offers the good service. Dhulikhel is the place from where we can hike in the surroundings of Kathmandu valley like an umbrella shape. From here we can go to Dolal ghat, Nagarkot, Namo Buddha and so an. Namobuddha, a picturesque pilgrimage site where the lord Buddha in a previous incarnation is believed to have allowed himself to be devoured by the starving tigress, is a mere three hour walk from Dhulikhel. The major places of worship here are the Narayan and Harisiddhi temples which are adorned with profuse wood carvings. The Gokhureswar Mahadev temple, a 30 minute walk to the eastern part of town, is a peaceful and scenic spot. The Bhagawati temple is situated at a height in the western part of Dhulikhel and dominates the skyline. From here, you can get a beautiful vista of the town and the surrounding areas. Kakani, 23 km. northwest of Kathmandu, is a less crowded and more pristine destination which provides excellent mountain views of Ganesh Himal, Langtang, and the Annapurnas. The offerings of nature provide the impetus to visit Kakani. This is 1982 m high from the sea level. Besides mountain views one can enjoy the beautiful oak and rhododendron forests on the south slope leading down to Balaju. For anyone wishing to truly get away from the distractions of urban life, it is a perfect retreat. Daman now offers the dedicated view- seeker luxury accommodation from which to soar into the state of awe which this land inspires. 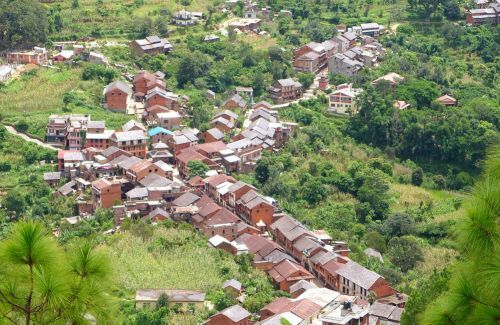 Bandipur was established as a funneling point of trade by Newars traders from Bhaktapur in the Kathmandu Valley after it has been conquered in 1768 by Prithvi Narayan Shah. They took an advantage of its malaria free location to develop it into an important stop along the India- India trade route. They brought their cultural heritage and architecture which basically has remained unchanged to this day. We find the Newari architecture in all houses and temples. The ancient slate – roofed buildings of Bandipur town, scenic surrounding villages and the pagoda style temples are its prime attractions. The artistic wooden lattice, windows and stone paved streets reflect the artistic works of Kathmandu. Bandipur is surrounded by the green forests, so it is peaceful and fresh environment for the visitors. Bandipur also gives an opportunity for the cultural exchange. 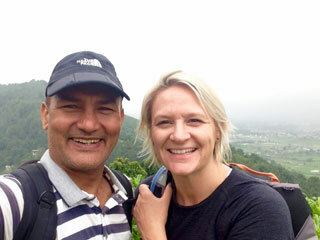 The Tundikhel, an open air field is to view the surrounding mountain as well as the Marshyangdi valley. The uphill path from Tundikhel leads to Khadga Devi Temple. The temple is opened for the visitors on the seventh day of Dashain Festival. There are many other places to visit like Tin Dhara, Bindhabasini and Mukundeshwori.Mukundeshwori is an important tribal power place on the top of the hill. The shrine is festooned with numerous bells and tridents. It is especially revered by Gurungs. Some knives and swords were apparently placed by victorious warriors in the past. The hillsides of Bandipur are famous for caves having age long history. There is Patali cave, has its religious importance. Sidhha cave, lying to the north – east of the town was discovered only a few years ago. The stalactites and stalagmites rich in the shape as if they were carved by the divine artists are the major attractions for the visitors. The original inhabitants of this place are Magars and Gurungs. The town area is invaded by the Newars. In the village side, we find the blending of Magars, Gurungs and Brahmins. Locals mostly celebrate festivals based on Hinduism. Magars celebrate Chandi Purnima which is observed in the full moon of Baishakh. Unmarried Magar girls perform the Ghatu dance in this occasion. The popular dance in the local area is Chudka.